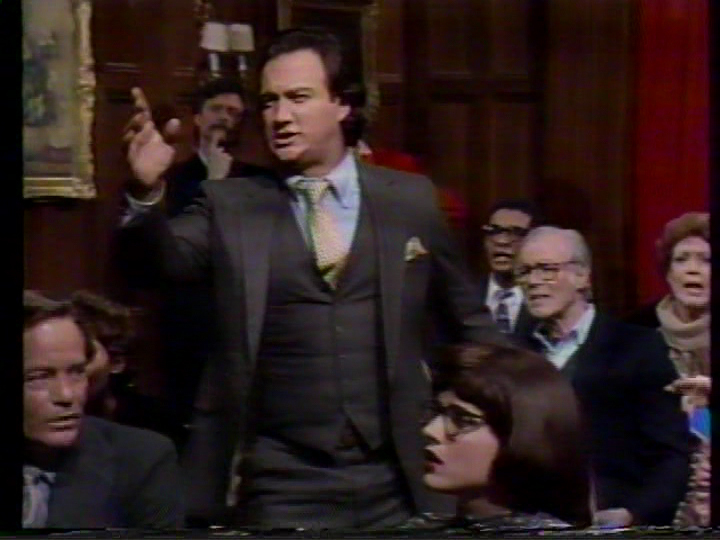 Hulk Hogan (Jim Belushi) speaks for Prince (Billy Crystal), who doesn’t know who Alex Karras is and thinks Tina Turner should be host. An interesting way to address the fame disparity between this week’s host and musical guest (Karras was on Webster at the time but nowhere near the star Tina Turner was that year), and I enjoy backstage monologues even if this didn’t have a whole lot of laughs. This reminds me a little of the Prince Show sketches that Fred Armisen and James Anderson wrote for the show 20 years later, with Prince mostly silent (though Armisen’s Prince, who says more than Crystal does here, is the better impression); Belushi’s Hulk Hogan impression is weak, though his angry “Who the hell is that?” before rephrasing it as a question from Prince was funny. Gary Kroeger continues his losing streak in these backstage scenes by getting his sole line in the show cut (though fortunately he appears – and speaks – in more sketches tonight). Larry David also appears at the beginning getting manhandled by Hulk. 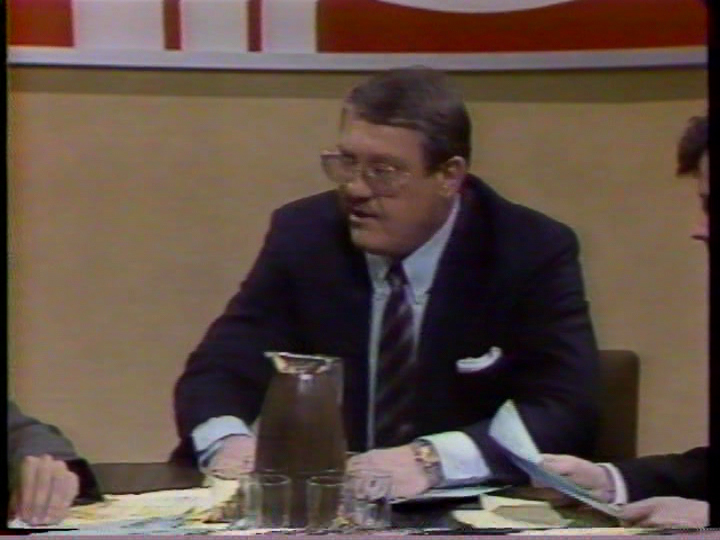 Alex Karras doesn’t know why he’s hosting SNL, because as his wife and friends all agree, he’s not that funny. Karras comes off as nervous here, all fidgety, stammery and giggly; it’s somewhat endearing, but you can tell he’s pretty much out of his depth doing an SNL monologue, and it’s mercifully short. On a gusty day, Ed Grimley’s (Martin Short) triangle practice is interrupted by a call from neighbor Miss Malone (Tina Turner), asking to borrow oranges. 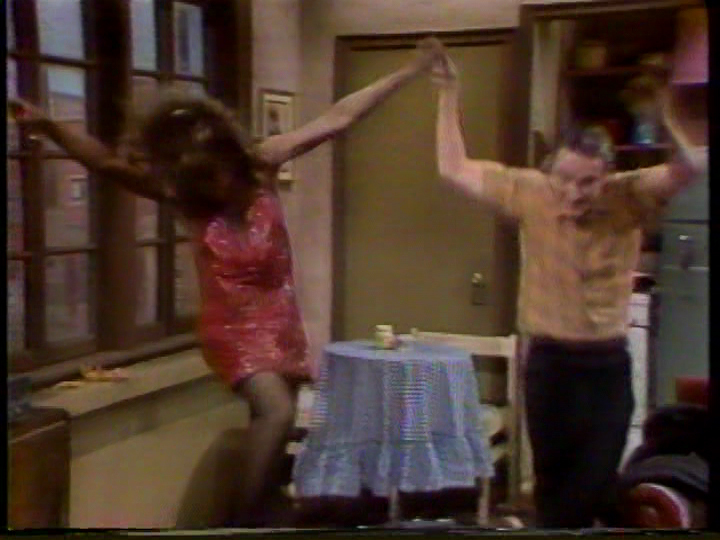 This was built around the applause-getting Tina Turner cameo, but this ended up being a strong Ed Grimley sketch, with some good physical comedy from Short trying to move through the wind whenever his window is open, and the sight gags of the fridge overflowing with onions. 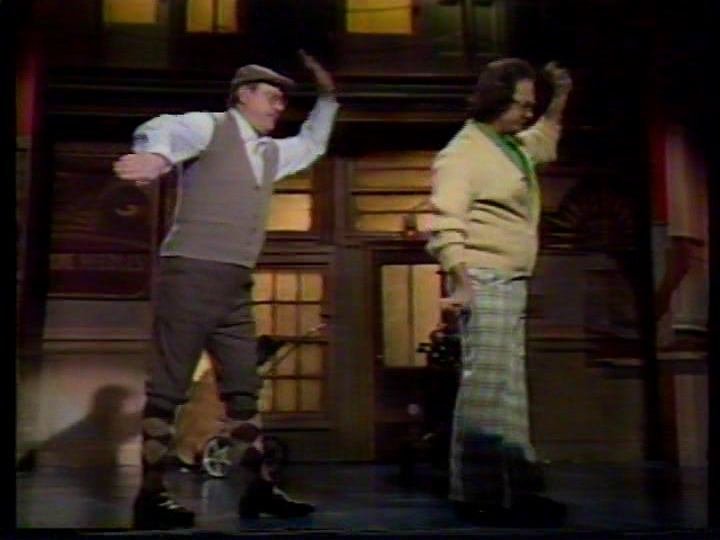 Like the last Grimley sketch, this involves a flying dummy, which was particularly well executed, and I though the ending with Miss Malone joining in Grimley’s signature dance worked well. There’s a small blooper where the phone rings a half second after Short picks up the receiver, so he hits it. Time Magazine is for those who don’t care about accurate reporting. A nasty spoof of the real commercial for Time, referencing a $50 million lawsuit against the magazine filed by Israeli politician (and future prime minister) Ariel Sharon over their coverage of his role in a massacre. 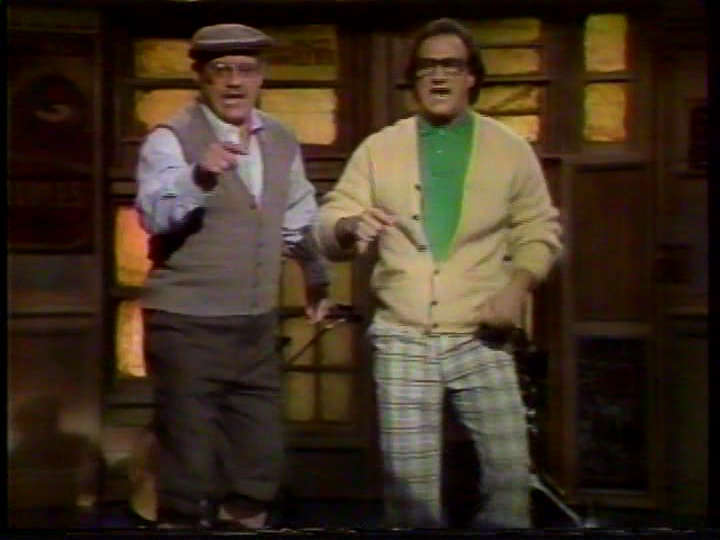 From New Canaan, CT, A Couple of White Guys (Jim Belushi and Alex Karras) rap about their upper-class lifestyle. Karras has a little trouble with the rapping, and the humor itself is fairly pedestrian, but the audience likes it, and at least there’s a clearer comic hook in this than Rappin’ Jimmy B. Still, was making fun of overly white people attempting to rap still a novelty in 1985, or was that already played out by this point? Written by Rob Riley and Jim Belushi. Nervous wreck Dale Butterworth’s (Billy Crystal) sweat proves to be the underperforming cola company’s missing ingredient. 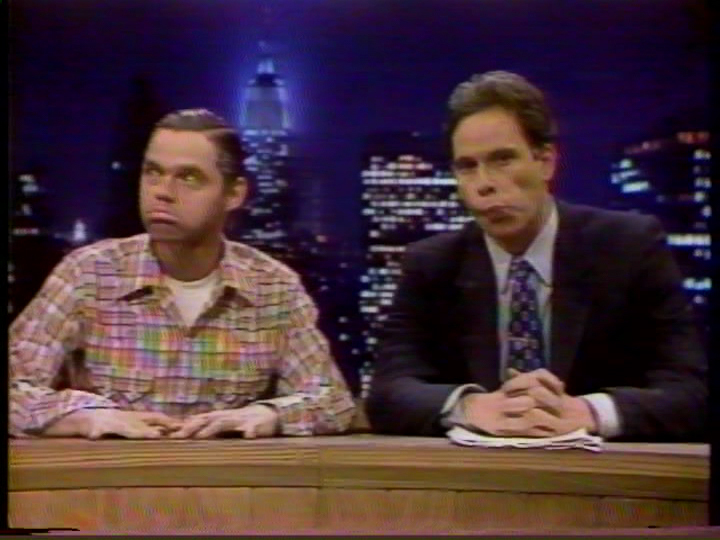 Mary Gross and Gary Kroeger’s nervous presentations to their scary boss (Alex Karras) were funny (particularly the pathetic slogans Kroeger comes up with, included “Not just a cola – it’s a cola and an aluminum can!”), but this sketch was dominated by an over-the-top Crystal performance and even more over-the-top sight gag of Butterworth sweating profusely (then topped by him, and everyone else, drinking it). 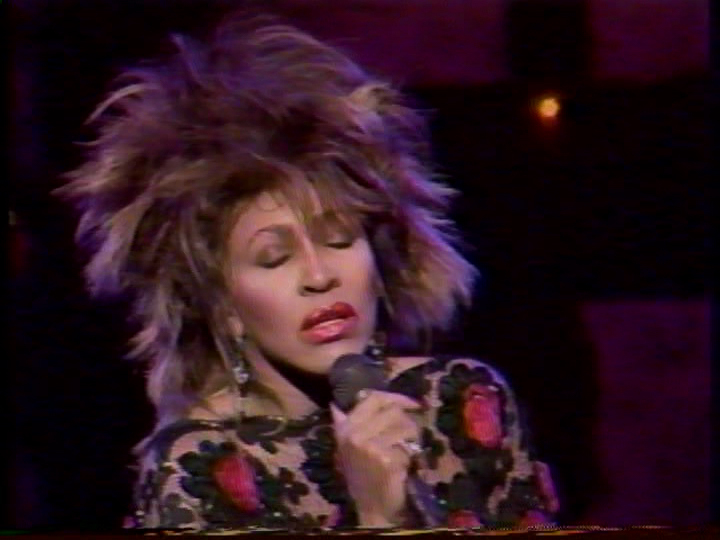 MUSICAL PERFORMANCE: "WHAT'S LOVE GOT TO DO WITH IT"
Introduced by Karras as “The First Lady of American popular music”, Tina Turner delivers a loose and playful version of her big hit from the Private Dancer album. 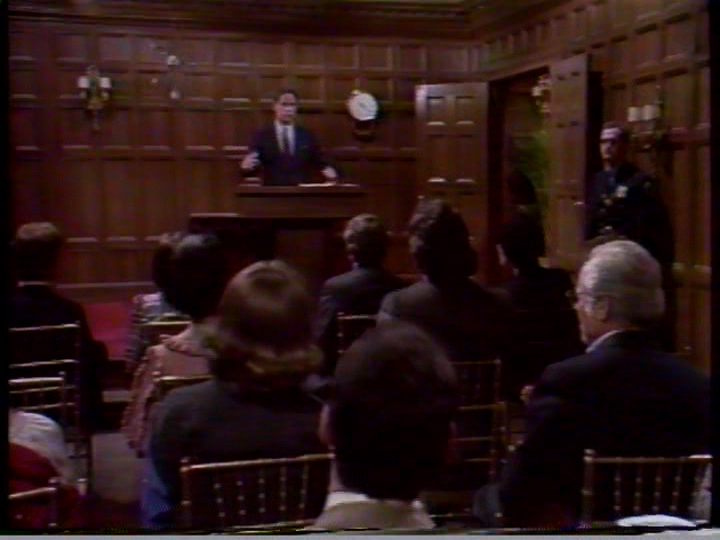 Thomas Barrack’s (Jim Belushi) cushy government office comes from his personal relationship with Ed Meese. Barrack is a real person who was in the news during Meese’s confirmation hearings as Attorney General for putting together a real estate deal for Meese’s house in California, then getting a federal government job, which is the basis for this commercial, as well as the Christian evangelistic book Power for Living. Without knowledge of either, I think a lot of the humor is lost, and this becomes just a generic political corruption spoof. Barrack is also long-time friend and ally of Donald Trump, and recommended Paul Manafort be hired as Trump’s campaign manager. The woman in the still photo of Barrack and his wife is writer Eliot Wald’s wife Jane, who appeared on the show three years before as the audience volunteer in Marc Weiner’s comedy routine. 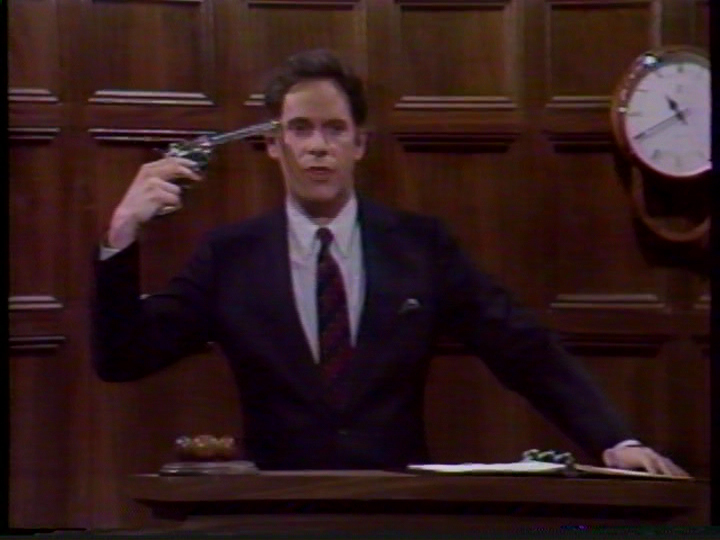 This doesn’t appear in the repeat version of the show; I wonder if the real Barrack objected to this sketch, or if it was just a timing issue with tonight’s show. Belushi also screws up the title of the book, calling it “The Power of Giving”. Subway vigilante Bernhard Goetz (Rich Hall) shows how to explore the city on a low budget by visiting his favorite film landmarks. 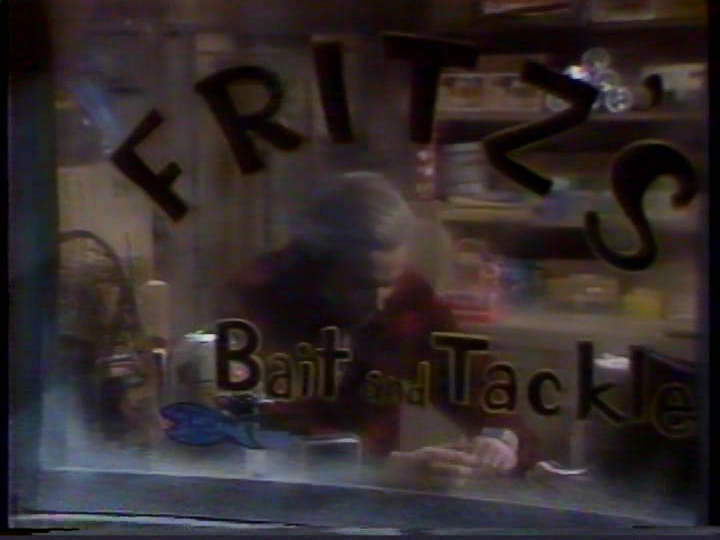 Kind of predictable, with Goetz’s favorite movie moments being violent scenes from Taxi Driver and Nighthawks, though his finding something seedy in the opening titles of The Odd Couple was funny (even if he misidentifies the character as Oscar). One of the black men that accosts Goetz at the end is Damon Evans from season 2-4 of The Jeffersons. Walter Mondale’s (Gary Kroeger) sobbing over his election loss draws an unprecedented number of moose to the Minnesota woods. Kroeger’s Mondale impression makes its final appearance here; this has a good premise and some great nasty lines at Mondale’s expense (his wife apologizing for not voting for him), The dopey sounding hunters played by Karras, Guest and Crystal were maybe a little too broad for this sketch, though. The line about Ferraro’s husband being in real estate (“they’re all crooked!”) stands out because of who else is mentioned tonight. Tonight’s show is sponsored by Kelly Cola’s new Brow Brew; a funny callback to the sketch earlier tonight. Weaker night for Guest’s jokes, but he only has three full ones tonight. 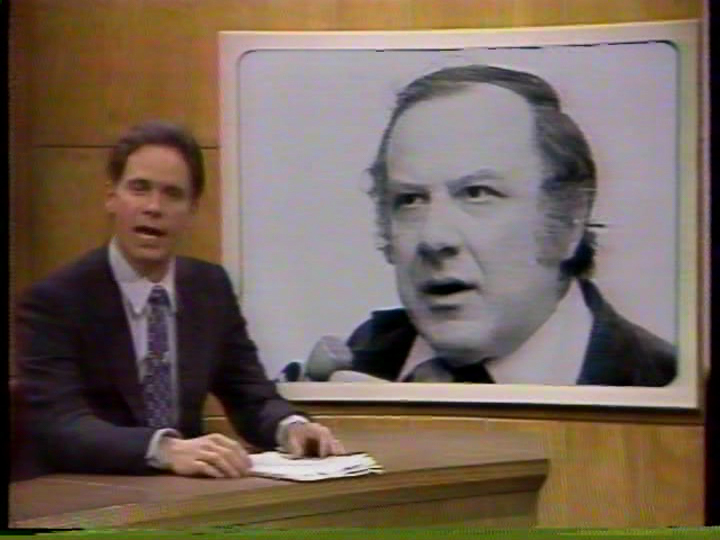 This also features SNL’s first-ever mention of Donald Trump; he is mentioned in passing as the owner of the New Jersey Generals football team that signed Doug Flutie. The Flutie joke is interrupted by Robert Latta (Rich Hall), the man who had recently gained infamy by sneaking into the White House on Inauguration Day (the audience responds to him telling Guest that he “sneaked in with the band”; how he got into the White House). 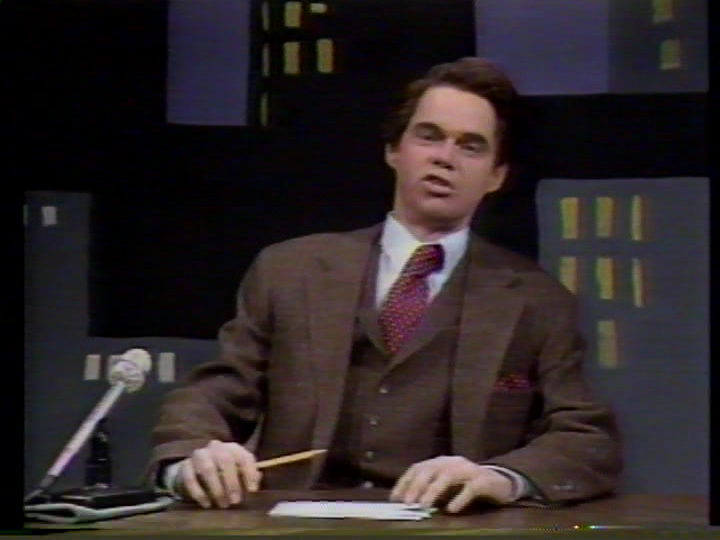 The doctored pictures of him sneaking into different places (the space shuttle, the arms talks, and Zelig) were also a hit with the audience, and Guest does well as usual as straightman. Can anyone ID the guy playing the security guard in this piece? Nathan Thurm (Martin Short) is back to represent the Tobacco Growers of America, still as nervous and defensive as ever. This is pretty much the same as the other Nathan Thurm bits beforehand, and although Short is good in them, this is perhaps something that would have been better left as the one-off in the 60 Minutes sketch. 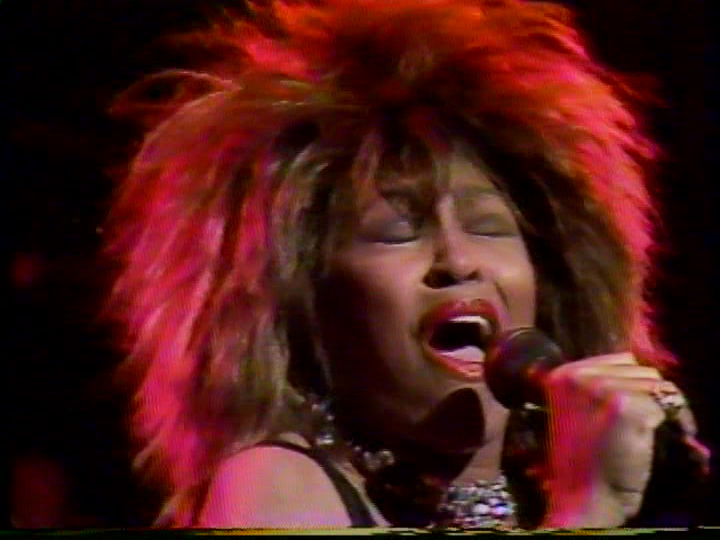 MUSICAL PERFORMANCE: "BETTER BE GOOD TO ME"
This is Tina Turner at full power here, with a much fierier take on the song than appears on the album; there’s also some great piano work by the late Kenny Moore. In the repeat, this is switched to appear as Turner’s first number; Karras’s intros to both songs are both cut and pasted onto the other song, though the set lighting gives away the edit. 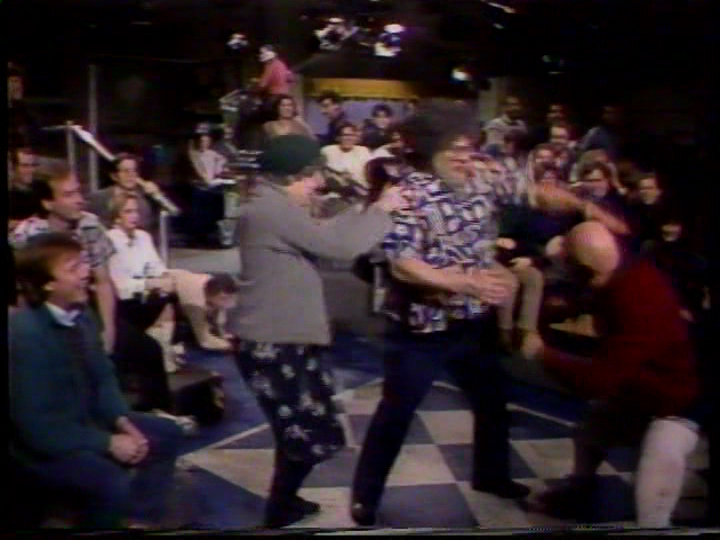 Captain Lou Albano (Alex Karras) and Little Caesar (Billy Crystal) would rather talk about political issues than the upcoming match on Vince McMahon’s (Rich Hall) wrestling talk show. This was an interesting idea, but the execution was off and it didn’t quite connect, although I can’t seem to pinpoint why. Maybe there are too many things that just detracted from it: Karras isn’t really doing an impression but speaking in his normal voice, Crystal is perhaps the least convincing little person ever, and there was a special effect failure at a key moment (Karras has to hit himself a second after Crystal slaps him so the fake blood would come out). 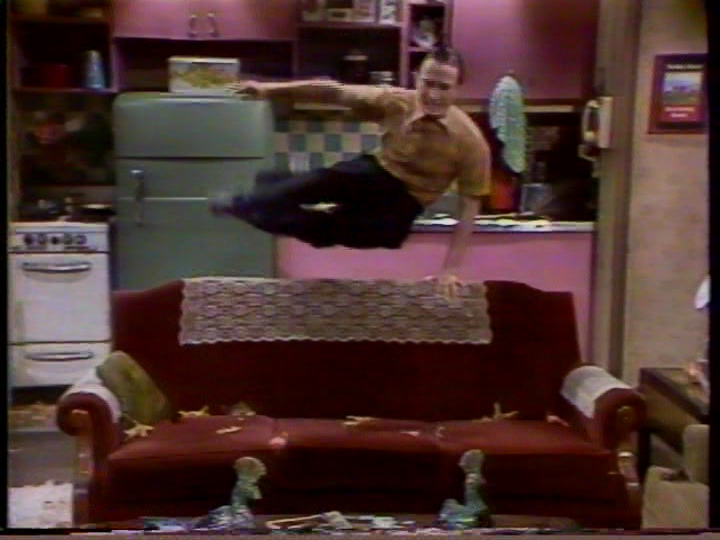 Former cast member Tim Kazurinsky can be seen in the audience when Karras chases Crystal around the studio and the lady hits him with her purse. 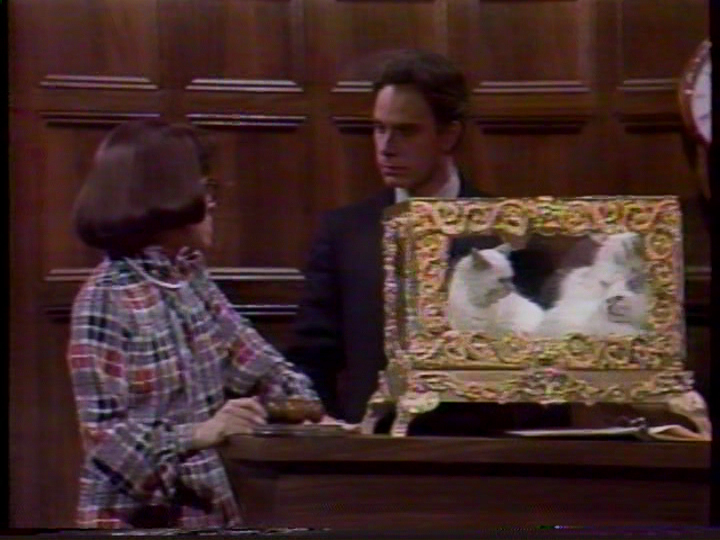 The unorthodox methods used by the new hire (Christopher Guest) at Sotheby’s horrify bidders but get the results his bosses (Gary Kroeger and Mary Gross) look for. 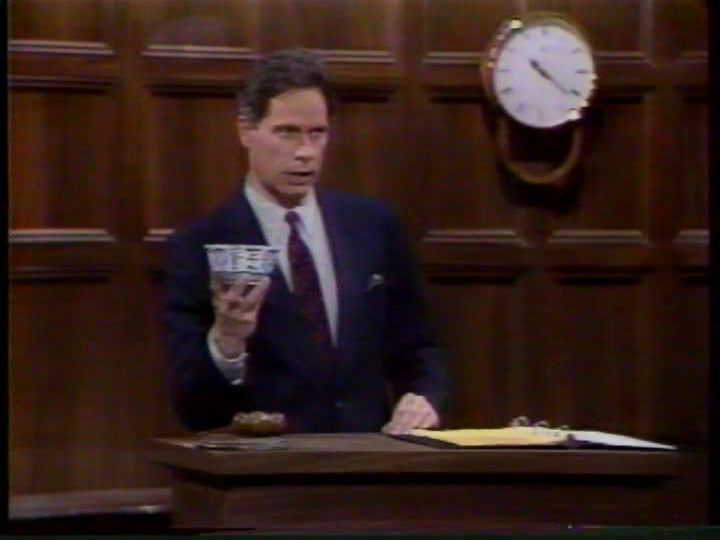 Perfect use of Christopher Guest’s inherent dryness, with him tossing priceless Ming bowls against the wall and threatening to suffocate angora kittens in an aquarium as if this were normal auction techniques, and the shock and horror from the bidders. Written by Kevin Kelton and Andrew Kurtzman; Kelton says this originated out of a writing exercise where they agreed not to stop writing once they began and wrote the whole thing in a stream-of-consciousness. Turner performs a smoldering version of the Mark Knopfler-penned title track from her album; Timmy Cappello has a saxophone solo in lieu of the Jeff Beck guitar solo on the studio cut. 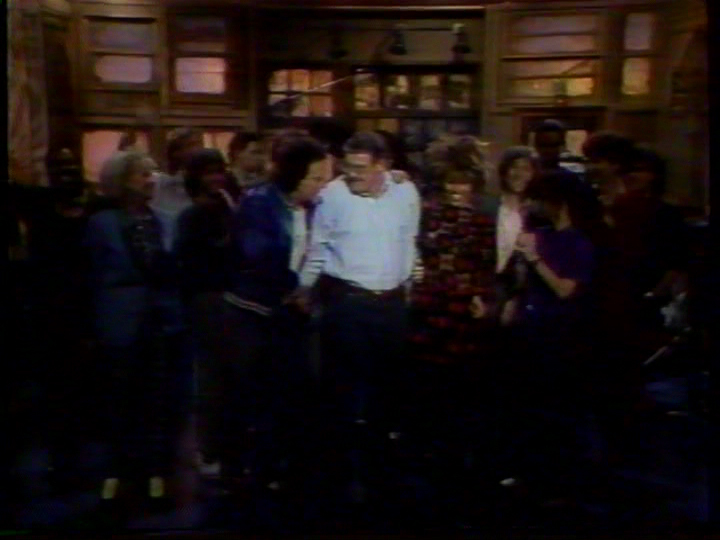 Alex Karras says “We had a great time, I hope you enjoyed it”, and Tina Turner gives Martin Short a kiss. 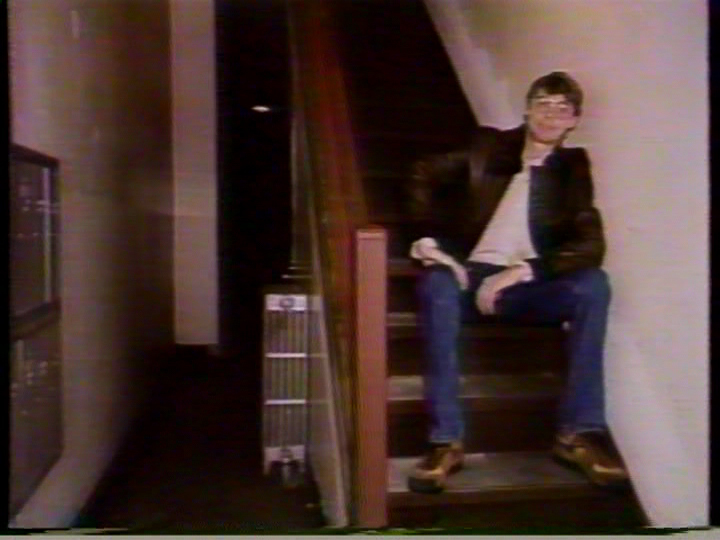 The goodnights cut off on the live show, but in the full credits you can see Rich Hall standing off to the side and chewing gum. 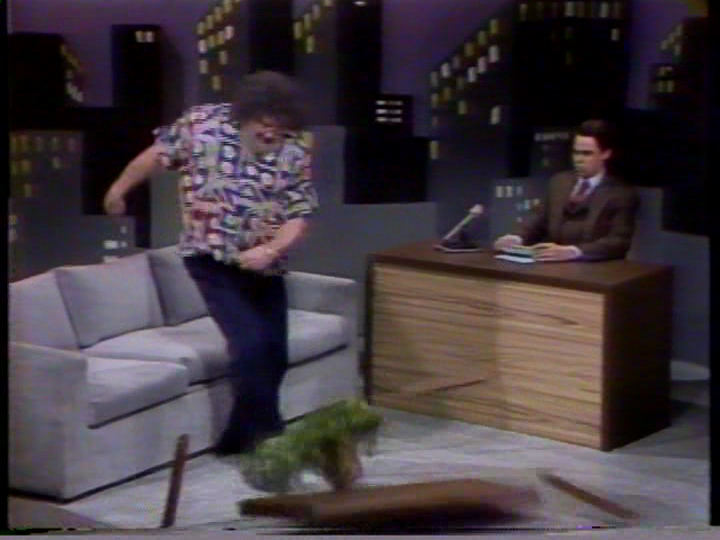 Kind of an in-the-middle show; Alex Karras wasn’t a particularly good host but was still likable enough, and this week seemed to have a lot more political references that have faded quickly after this aired (Thomas Barrack, the Ariel Sharon vs. Time Magazine lawsuit, and Robert Latta – many people think the latter is an original Hall character). 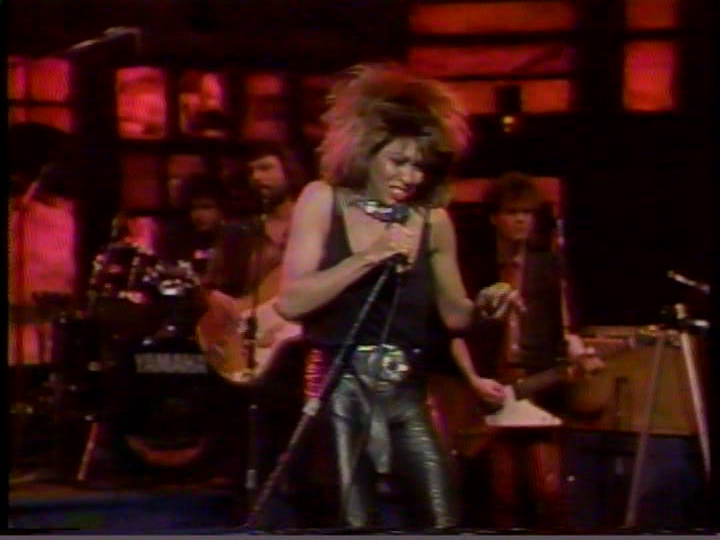 There were some good sketches tonight though, and of course Tina Turner brought it in her musical performances (not to mention her cameo in the Grimley sketch).